Three Very Good Questions From Members - Valuentum Securities Inc.
Q: Why do you use a risk free rate assumption of 4.25% when the current spot rate of the 10-year Treasury is about 2%? In our discounted cash-flow models that we use to value every non-financial operating company in our coverage universe, we match the duration of future free cash flows (from year 1 to perpetuity) with expectations of the average discount rate over this forecast horizon (from year 1 to perpetuity). We think the best way to achieve expectations of the long-term future average rate of the 10-year Treasury (risk free rate) is to use the weighted average of the historical 10-year Treasury and the current spot rate. The goal of using a weighted average risk free rate in our DCF process is to achieve balance with respect to the duration of future cash flows. For example, discounting a cash flow in Year 20 at the current spot rate doesn’t make much sense to us. Other methods consider the yield curve in discounting future free cash flows, or use a long-term average of the risk free rate without considering near-term changes in the 10-year Treasury rate. We think the use of the spot rate on the 10-year Treasury as the risk free rate in any valuation model would not only cause significant fair-value volatility but also result in a systematic overvaluation of companies relative to their true long-term intrinsic worth. Q. Why do you use such a wide fair value range for certain companies? 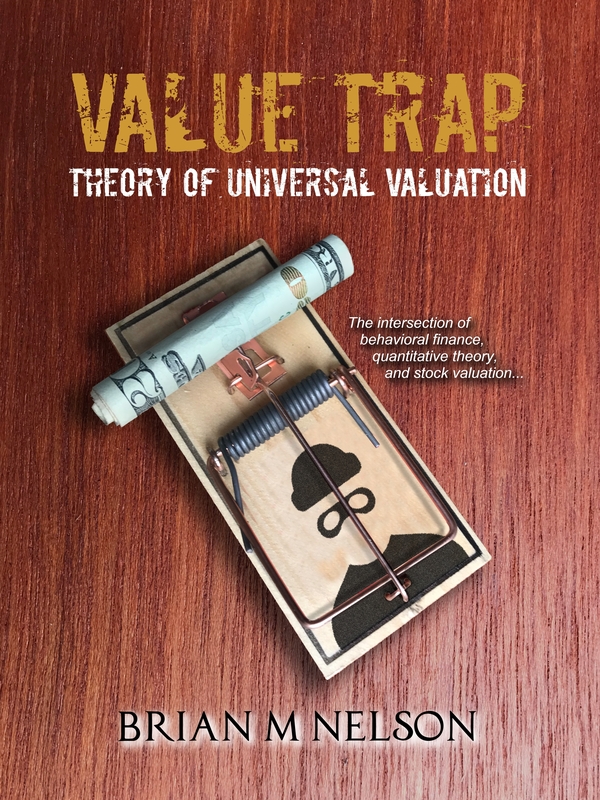 One of the most important concepts of the Valuentum methodology (and valuation in general) is the understanding that the value of a company is a range of probable valuation outcomes, not a single point estimate. Even well-seasoned stock analysts are guilty of saying that a company’s shares are worth exactly $25 or a firm’s stock is worth exactly $100. The reality is that, in the first case, the company’s shares are probably worth somewhere between $20 and $30, and in the latter case, the stock is worth somewhere between $75 and $125. Why? Because all of the value of a company is generated in the future (future earnings and free cash flow), and the future is inherently unpredictable (unknowable). If the future could be predicted with absolute certainly (knowable), then a stock analyst could say a company’s shares are worth precisely this, or that a firm’s stock is worth precisely that. 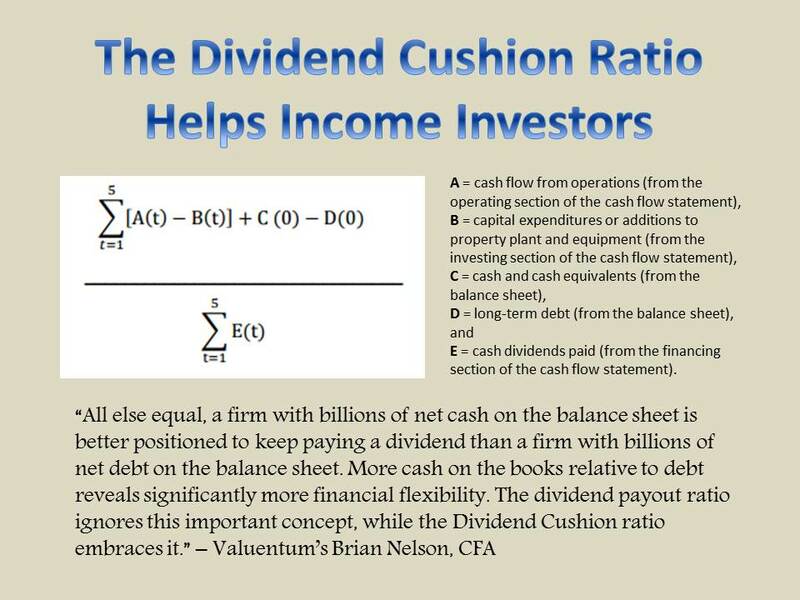 Not because he or she would know where the stock would be trading at, but because he or she would know precisely what future free cash flows would be (and all other modeling facts—not assumptions in this case) and arrive at the exact and non-debatable value of the firm. But the truth of the matter is that nobody knows the future, and analysts can only estimate what a company’s future free cash flow stream will look like. Certain unexpected factors will hurt that free cash flow stream relative to forecasts, while other unexpected factors will boost performance. That’s how a downside fair value estimate and an upside fair value estimate is generated, or in the words of Warren Buffett and Benjamin Graham how a “margin of safety” is generated. Only the most likely scenario represents the point fair value estimate. Any stock analyst that says a company is worth a precise figure—whether it’s $1 or $100—falls short of understanding one of the most important factors behind valuation. But why the large range in many cases? Well, there are many firms in our coverage universe that have a very large range of outcomes in their future free cash flow growth. And because discounting free cash flows is an integral part of calculating the fair value estimate of a company, the range of fair values will also be large. To illustrate this point, let’s take a look at the difference between the levels of free cash flows in Year 20 under three different future growth rates: 10%, 15%, and 20%. Though the growth rate between each scenario is but 5 percentage points, the magnitude of the free cash flow difference is astounding many years into the future, and our discounted cash-flow process considers the long-term intrinsic value of firms. Under these future free-cash-flow scenarios, if we assume an 8% discount rate and 100,000 shares outstanding (and no debt), the difference in the fair value estimate between the upside case (green line) and downside case (blue line) is $68 per share ($82 per share less $14 per share)—all because of just a 10 percentage point difference in a future free cash flow growth assumption. For firms that are growing cash flows at 200% or 300% per annum, a large range of fair value outcomes is not only inevitable but also very reasonable. In other words, the Valuentum framework provides an avenue to quantify the upside and downside risks investors are taking in high uncertainty and fast-growing enterprises--think Green Mountain (GMCR), LinkedIn (LNKD), Questcor Pharma (QCOR), and Groupon (GRPN), which all boast very high ValueRisk ratings. To really hit this point home, here’s a quick slide of LinkedIn’s revenue. The green line (mapped to the right axis) shows LinkedIn’s revenue growth rate. Let’s assume revenue expansion translates into similar free cash flow growth expectations (not exactly a precise assumption, given the leverage in LinkedIn’s business model), but bear with us for simplistic illustrative purposes. Will LinkedIn’s revenue/cash flows expand at a 20% rate, a 40% rate, or a 60% rate (or an even greater pace) through year 20? It’s a very, very difficult question to answer. Remember how significant that 10 percentage point spread was in the hypothetical example above? Well, it’s even more significant for LinkedIn. We know LinkedIn’s free cash flows will expand, and expand fast, but just how fast is certainly debatable. To a very large extent, that’s why LinkedIn’s range of probable outcomes (fair value range) is so large: $45 through $133 per share (at the time of this writing). To look at our actual assumptions for LinkedIn, the firm’s report can be downloaded here. All things considered, we're looking for firms that are trading outside of their respective fair value ranges. A firm trading below the low end of its fair value range is undervalued, while a firm trading above its fair value range is overvalued. The fair value range for each company captures the inherent uncertainty of the trajectory of that firm's unique future free cash flow stream. Q. In your probability distribution of fair values, how can a company actually have a non-zero probability of a negative fair value? This is a great question because it hits on the myriad uses of Valuentum’s methodology. The non-zero probability is encircled in red below. The way to interpret the area to the left of the $0 line (y-axis) is that it represents the probability of bankruptcy of the firm based on the uncertainty of future free cash flows. Though there are specific values assigned to the area to the left of the $0 line (y-axis), they are arbitrary as any equity value below $0 is actually an event of default if liquidity dries up (eating into bondholders). So the small area underneath the green curve to left of the $0 line (y-axis) and down to the x-axis (which is a mapping of fair values) represents the probability of bankruptcy (default) given the firm's fundamental future cash flow profile and balance sheet leverage. We disclose the probability of bankruptcy/default of each company in our reports. Valuentum plans to eventually use these probability-of-default estimates to calculate a corporate credit rating for each entity.